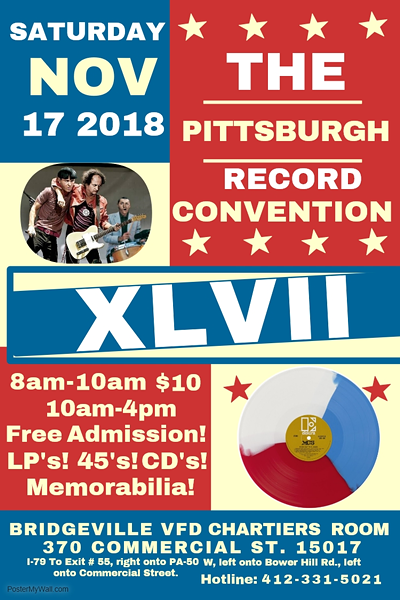 Trade show featuring LP's, 45 rpm records, Cd's, Posters, tapes and memorabilia. National and local vendors. All types of music featured. Plenty of on site free parking. Family friendly. 22nd year!